The professional file and folder encryption software – Best Folder Encryptor has been updated to version 16.97. The new version fixed bug that the control board cannot be closed after a Flash- and Hiding-encrypted folder is opened because of misjudgment, made some improvements and optimization, and several minor bug fixes. For more details about Best Folder Encryptor, please read the following content. – Fixed bug the control board cannot be closed after a Flash- and Hiding-encrypted folder is opened because of misjudgment. * The new software interface. * Some improvements and optimization. * Better display of encryption records. * The new disk mirroring. – Fixed bug that the encrypted folder cannot be closed after it is opened in some cases. – Fixed bug with disguise failure after opening a disguised folder. – Fixed bug with wrong record after a folder is encrypted. + Added the drag-and-drop feature to encrypt. – Fixed bug displayed in the software interface. – Fixed bug with duplicate records when performing First Aid for Flash- and Hiding-encryted folders. * Better dealing with the error files when decrypting a Full-encrypted folder. * Security and usability improvements. Best Folder Encryptor is a professional file and folder encryption software. It features superfast with high security and confidentiality. With the internationally advanced encryption algorithms, encryption methods and file system drivers, the encrypted files and folders cannot be decrypted without the correct password, and are prevented from copy, deletion or removal. 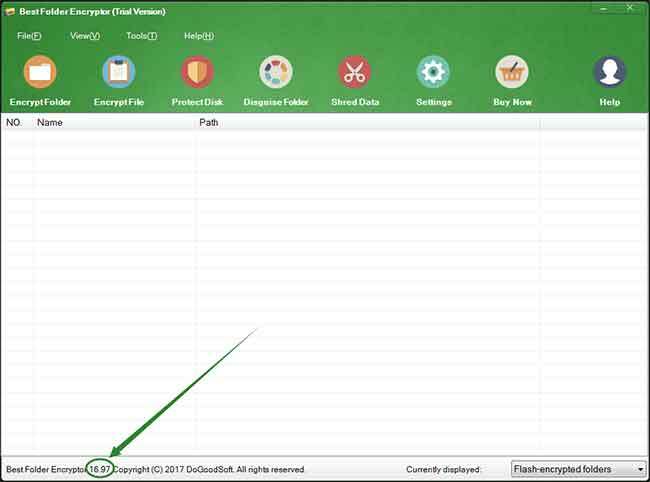 It is convenient to open and edit the encrypted folder or file with the Open feature, and you don’t have to re-encrypt the folder or file after use. Besides, it supports many powerful features such as data shredding (file/folder shredding), completely hiding hard disks, disabling USB storage devices or set them as read-only, etc. All these make Best Folder Encryptor undoubtedly a flawless encryption software and the best helper.